Plenty has been written about Hayes Griffin since he was named the new station manager at Grand Rapids community radio station WYCE (88.1 FM) but there’s nothing quite like sitting down in podcast fashion to get a more personal, revealing look at a relatively new face and voice on West Michigan’s music scene. So, RSVP Music Chat’s Ralston Bowles and John Sinkevics pinned the new guy in his office at WYCE for a 25-minute chat about his background, his musicianship as a member of Fauxgrass and other bluegrass bands, and his plans for the radio station that showcases more local and regional music than any other. 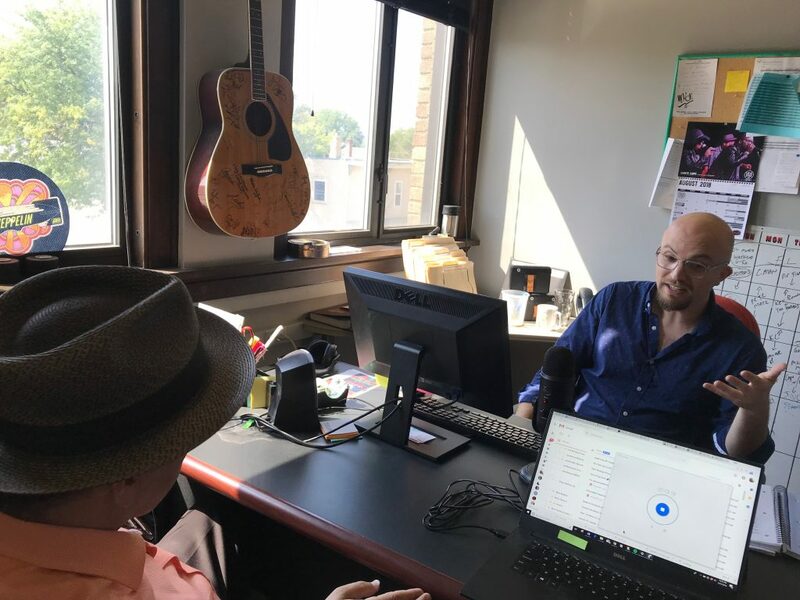 It was an engaging conversation with the guitar-playing Griffin – who moved here two years ago from Columbus, Ohio – about teaching a “history of rock ‘n’ roll” class at Grand Valley State University and touring with Canadian fiddler April Verch and renowned bluegrass act Newtown. In Griffin’s view, the multi-tasking experience of “spinning plates” as a musician (he started playing bluegrass music at age 9) helped prepare him for his new role overseeing WYCE, its staff and its cadre of volunteer programmers. “WYCE is the single most instrumental entity in helping me and all of my peers in the music community. That’s why I wanted to jump on board with WYCE, because I could see the potential to bring the music community closer together to kind of foster these new connections, this diverse local/regional scene that we have,” he said. Listen to the entire podcast here and leave a comment – or a suggestion for a future podcat – via SpeakPipe voice message below. Read more about Griffin in this Local Spins feature story. 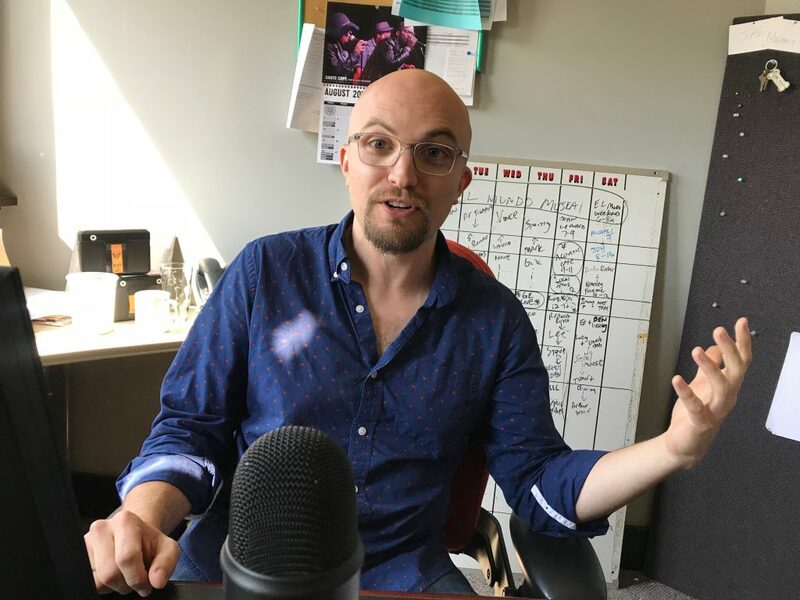 And tune in to Local Spins on WYCE at 11 a.m. today (Friday, Sept. 14) when Griffin and former WYCE manager Quinn Mathews will be the fill-in hosts for this week’s episode of the show that spotlight the region’s music scene. New Grand Rapids band The Blue Pines will be the in-studio guests.